Smart Democrats know that getting on the wrong side of the austerity debate could strike a "damning blow" to the party's 2014 prospects. 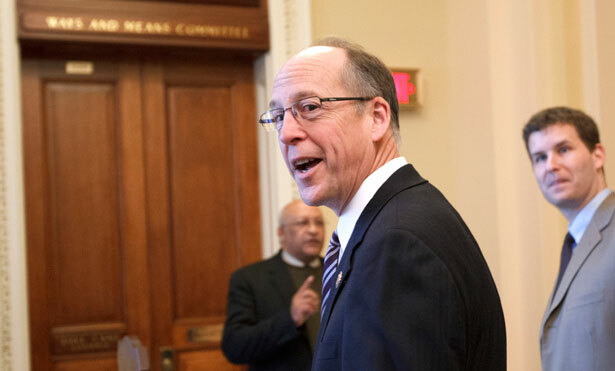 The most misread—perhaps the proper word is “miscovered”—story of the current budget wrangling in Washington is that of Republican Congressman Greg Walden’s savage condemnation of President Obama’s proposal of the “chained-CPI” Social Security cut. So the headlines announce that Republicans were squabbling. As if that is news. The real news, the story that is not getting anywhere near the attention it merits from Sunday talk-show pundits and Sunday talk-show politicians, is the story of why Walden is saying what he is saying. And why the austerity caucus is so upset. If Walden were merely a Republican backbencher representing a retirement community, or if he were a freshman congressman from a swing district, his remarks would be dismissed as a predictable exercise in political self-service. But Walden is no newcomer to the House, or to high-stakes political campaigning. He’s one of the savviest political players in Congress. A veteran state legislator who managed congressional campaigns before his own election to the House in 1999, he “gets” how to win elections in competitive regions and states. And his fellow Republicans recognize this reality: He chaired the House Republican Leadership through 2010 and, when Republicans retook the chamber that year, he chaired the House Majority Transition Committee. Walden is now the head of the National Republican Campaign Committee, meaning that he is responsible for making sure that Republicans hold their House majority in 2014. That explains why Walden is ripping the president’s decision to go with “chained-CPI.” And it explains why austerity opponents are ripping Walden—they fear that any rips in the fabric of fantasy that suggests only a cuts agenda (as opposed to a growth agenda) will balance budgets. Walden is not reading from the “Fix the Debt” playbook. He is interested in winning elections. And he knows that a Democratic president talking about Social Security cuts is a winning issue for Republicans. A cynical winning issue, to be sure. But a winning one all the same. Translation: Ripping the president’s “chained-CPI” proposal is smart politics. Even if it is cynical for the party of Paul Ryan to object to assaults on Social Security and Medicare by a Democratic president, the cynicism works. Pointing out—loudly—that a Democratic president and his allies are abandoning a historic Democratic commitment does not turn Democratic voters into Republican voters, it turns Democrats and Democrat-leaning independents into non-voters. This has long been the essential element to Republican success in mid-term elections. A key to the Republican breakthrough of 1994 was the fact that former President Bill Clinton had advocated for and eventually signed the North American Free Trade Agreement. The scheme, while enormously popular with Wall Street speculators and newspaper editorial writers, was feared and despised by union members. Those voters stood down in congressional districts across the country. Turnout was abysmal, dozens of Democratic House members lost and Newt Gingrich became the Speaker of the House. Never mind that Clinton had secured passage of NAFTA with the help of Gingrich and the Republicans. Frustration among union voters who had enthusiastically backed Democrats in 1992 gave the advantage to the GOP in 1994. Similarly, in 2010, many of the prime talking point for Republicans as they displaced Democrats in congressional districts across the country were taken from the traditional Democratic playbook: Obama had not done enough to create jobs, it was said, and Obama’s health reforms “took” $700 billion from Medicare. Turnout tanked among likely Democratic voters. Never mind that the obstruction of job creation came from the Republicans, and never mind that Medicare efficiencies associated with the Affordable Care Act project were embraced by Republicans like Ryan in their budget plans. The disappointment among Democrats created an “enthusiasm gap” that favored the Republicans. Greg Walden, who was a prominent Oregon legislator and potential gubernatorial candidate in 1994, and who was an essential player in the House Republican leadership in 2010, knows the history. Unfortunately, too few Democrats "get it." Of course, Congressional Progressive Caucus co-chair Keith Ellison, D-Minnesota, does; he refers to a Democratic president undermining Social Security as "terrible politics." So, too, does Congressman Bill Pascrell, the New Jersey Democrat who says of the president's "chained-CPI" advocacy, "Seniors vote in even heavier numbers, proportionately, in off-year elections. So just looking at a political standpoint…I would think that this would be a damning blow to our chances of taking back the House next year." That’s what Greg Walden is counting on. That's why he's saying what he is saying. Anyone who is interested in the politics of 2014 knows that Greg Walden is not pontificating about policy. He is laying political traps that will spring on the Democrats if they put their party on the side of “chained-CPI” and the austerity agenda. Meanwhile, Darrell Issa and company ramp up their assault on the Postal Service. Read Allison Kilkenny's take.